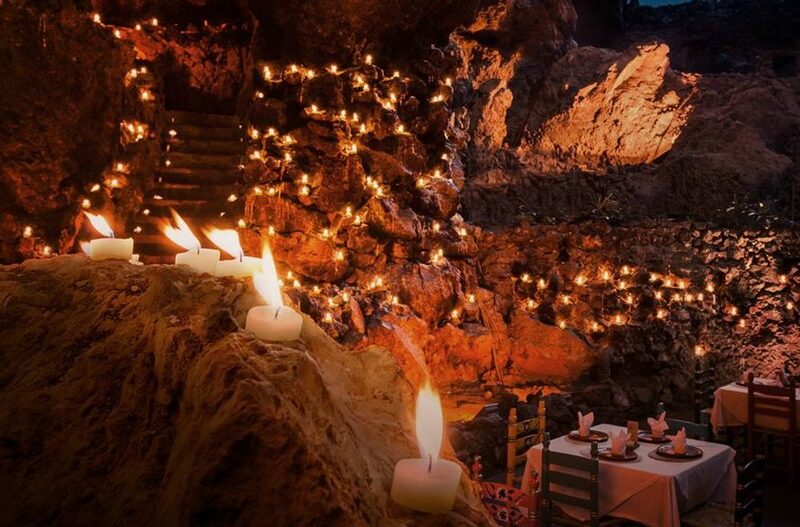 If you are looking to add something completely different to your bucket list, cave dining is the answer. What makes cave dining so special is the rarity of it, there are only a few caves around the world which are stable and wide enough to house a restaurant and they all hold some form of history. Despite the gimmicky nature of cave dining, some restaurants are well worth a visit. 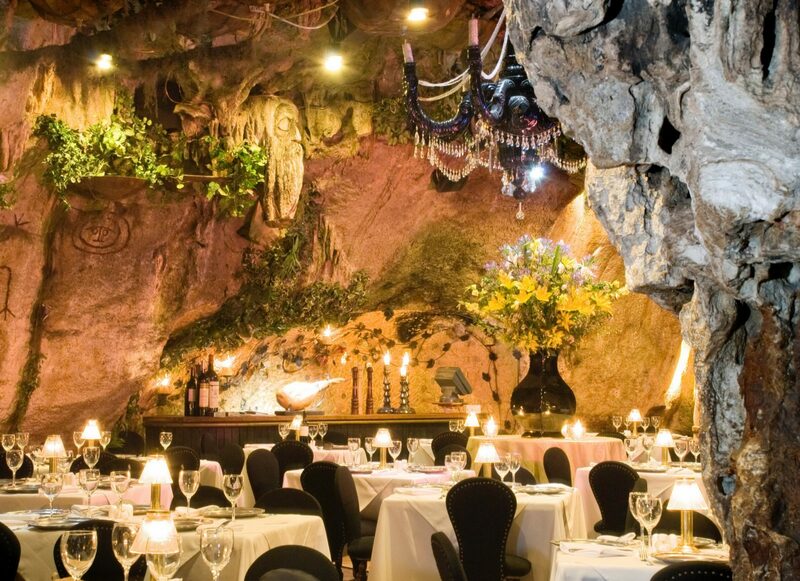 Here are the top 6 cave restaurants around the world. If you frequent social media then there is a good chance you have already stumbled upon Grotta Palazzese. 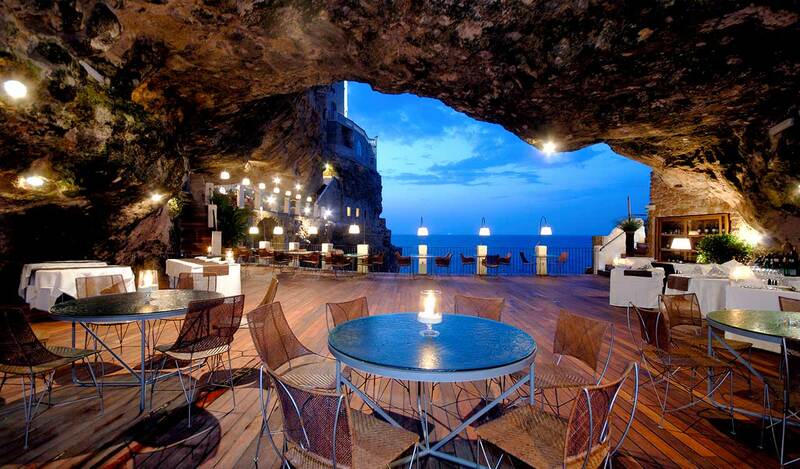 Located in the southern region of Italy it offers one of a kind cave dining experience. 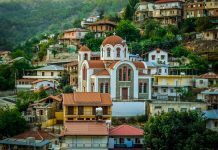 This gem of a restaurant has been around since the 18th century and is built inside a large seaside cave just 74 feet above the sea. 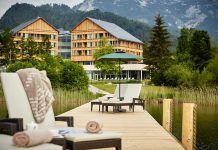 Open only during the summer months, a three-course menu will set you back €130 per person. 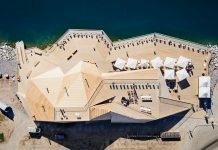 They offer only a handful of tables inside the cave and some on the terrace overlooking the Adriatic Sea. Watching the sunset over the Adriatic Sea while dining inside a cave is a right treat. 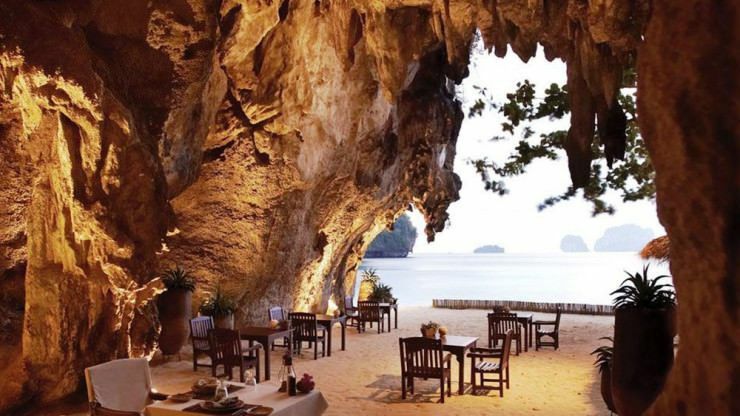 Why visit Rayavadee Krabi Dining Grotto? If the idea of dining inside a dark cave is not your cup of tea but you still want to experience cave dining. This grotto in Krabi sits right on the beach without being completely enclosed. It is more al fresco and offers a perfect combination of open-air whilst being nestled under an ancient limestone cliff on the edge of beautiful Phranang Beach. The only way to get to Rayavadee Krabi Dining Grotto is a via boat from Krabi town (Transfer service is free for the Rayavadee Hotel guests). Despite the secluded location and one of a kind nature of this restaurant, the average cost of a main course is around £15. La Gruta is an hour away from the city of Mexico, located in the 2000-year-old abandoned city of Teotihuacan. Around 650 feet behind the impressive Teotihuacan pyramid lies a magical underground cave restaurant. Given the touristy nature of the Teotihuacan city, La Gruta can feel a bit gimmicky but nonetheless, the cave is illuminated by 1000’s of candles and offers traditional Mexican food along with mariachi performers. There are claims that La Gruta has been around since 1906. 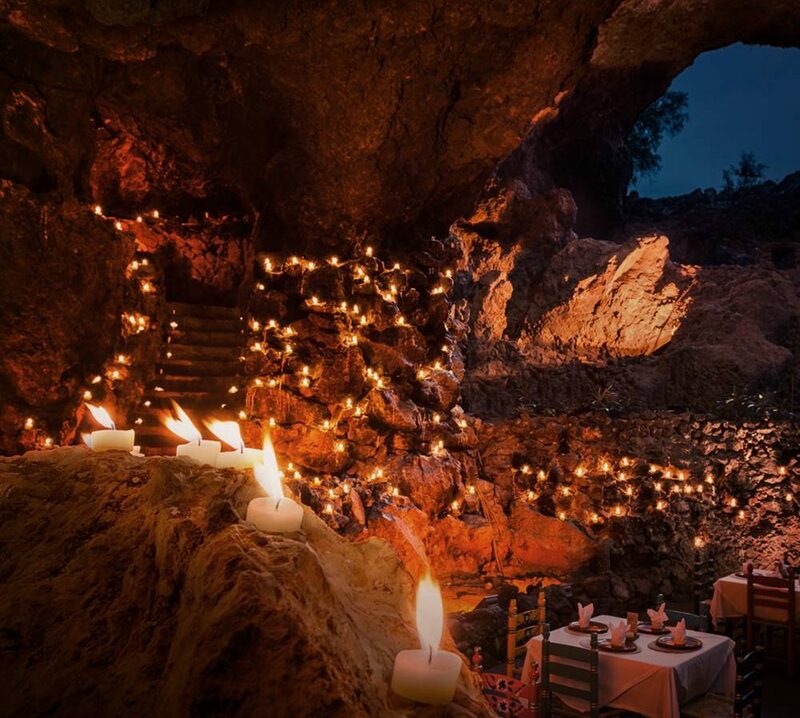 All in all, dining inside an ancient pyramid cave which is covered in candles is one of a kind experience. 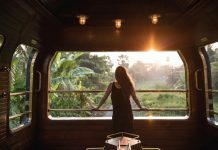 Why visit The Caves Hotel? 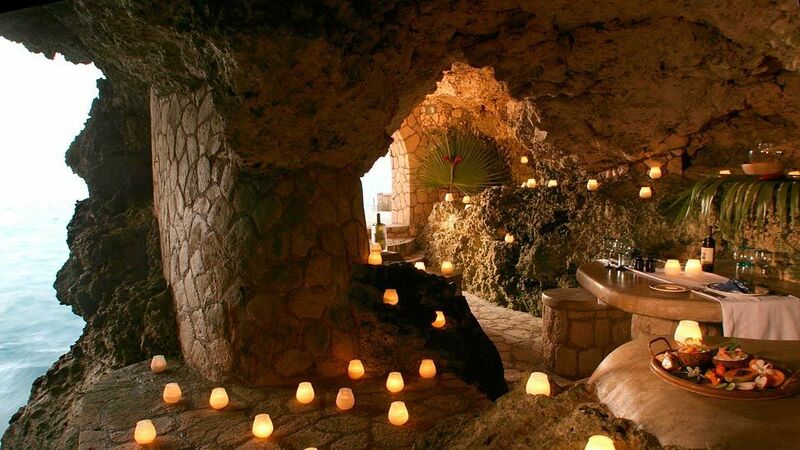 Located in a secluded spot at the western edge of Negril is the Caves Hotel. Perched on a limestone cliff this hotel houses a show-stopping restaurant in the whole of Jamaica. 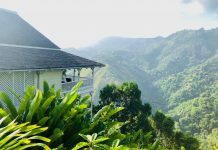 Nestled inside the honey coloured caves and candles lit all around the cave, dining here is a private and extravagant affair with a five-course menu and a rum bar overlooking the Caribbean Sea. Why visit Ali Barbour’s Cave Restaurant? 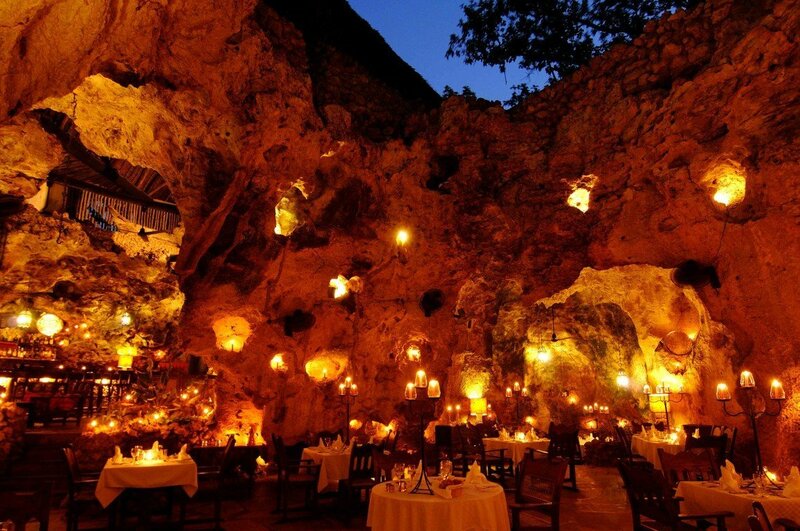 Ali Barbour’s Cave Restaurant in Kenya is believed to be 180,000 years old. 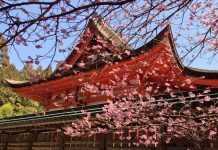 It is one of the most exclusive dinings experiences in the region. Based on the well known Diani beach, this grand cave restaurant opened its doors just 30 years ago. This unique cave is 30 feet underground and is filled with natural holes giving you a chance to gaze at the star above. They specialise in seafood and meat, a main course here is on average £15. One of the best times to visit is around dusk, just as the sun sets and the restaurant illuminates with candlelights. By the time you are done with dinner, you will be gazing up at the twinkling stars. Why visit El Meson De La Cava? Restaurant Meson de la Cava in the Dominican Republic is not only known for being a cave restaurant but it is also a historically significant sight. These caves were used during the Dominican Revolution of 1965, remains of the native Taino Indians were discovered here, along with pirates and buccaneers who used these caves as a hideout. This natural limestone cave was created millions of year ago by the waves action when the coastline hugged this cliff but the restaurant opened its doors in 1967. If you are in the Dominican Republic, these caves are worth a visit for both, its setting and the rich history these caves hold.